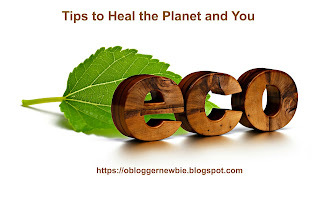 How Can I Help and Be Good to Our Planet? I am originally from the northeast and reserve a soft spot in my heart for the people and places connected to my early beginnings. Many inhabitants in that area are still hurting in the aftermath of Hurricane Sandy. I am doing what I can to support these dear friends, neighbors, and family and made a donation earmarked for Sandy flood relief. My heartfelt thanks go out to the volunteers and helping professionals who are involved in the cleanup efforts. For those of you who can lend a hand and haven’t done so already, you’ll find a link below to charities that are working to raise funds for this worthy cause. However, this disaster reminds me that global warming is accelerating at an alarming rate. Note the report below. For a visual, check out the YouTube video from National Geographic that demonstrates this phenomenon. After reading reports of the recent Philippines’ Typhoon, Bopha and its resultant 300 deaths, I followed the dots from this disaster to global warming. I also linked climate change to the scores of severely hungry Haitians, who have been hit hard by an unusually active storm season. The severe drought and unprecedented heat waves in the U.S. Midwest and Southwest have taken its toil in economic uncertainty, soil erosion, and created a deteriorating atmosphere. Parched earth, clouds of dust, and increased cases of asthma and other breathing difficulties are results I personally attribute to global warming. Free Time, Leisure, How can I relax and renew? I like to be productive and thrive on activities that create order and enable me to complete projects at work, home, and in my personal and social life. That being said, today I want to take a break from "doing" to relax, restore my spirit, and just loaf. However, this is a challenge for me. My underlying work ethic tells me to keep on pursuing my goals, striving to fulfill my obligations, and proceed with whatever tasks I think are on my plate for the day. Luckily, an inner knowing I call my wise woman, tells me to take time to look at the clouds, savor a moment of stillness, and breathe.